Before I begin this recipe, I should warn you, the pictures ain’t pretty. I always start these projects at some ridiculous time of night when lighting is bad and, well, my skills as a photographer fail me. So you’ll have to squint your eyes and make believe they look gorgeous. And anyway, who ever saw a pretty muesli bar (or granola bar as they call them in the States. I think)? 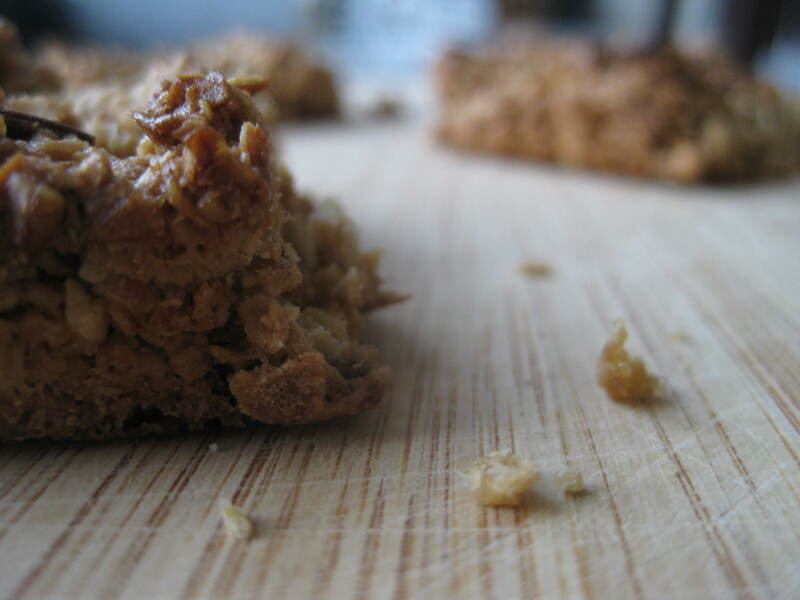 Now, muesli bars, however you make them, are hardly what you’d call a healthy treat. Sure, the food companies who make them like to market them as healthy, but really, who are they kidding? They have fat and sugar and lots of other things in them that nature probably didn’t intend for us to eat. The best you can do, I figure, is to try and find the ones with the least amount of preservatives and nasty chemicals. So, ideally, make your own, so you know what’s going in them. Here’s an easy recipe you can make in no time and add whatever tasty ingredients you like to the basic mix. 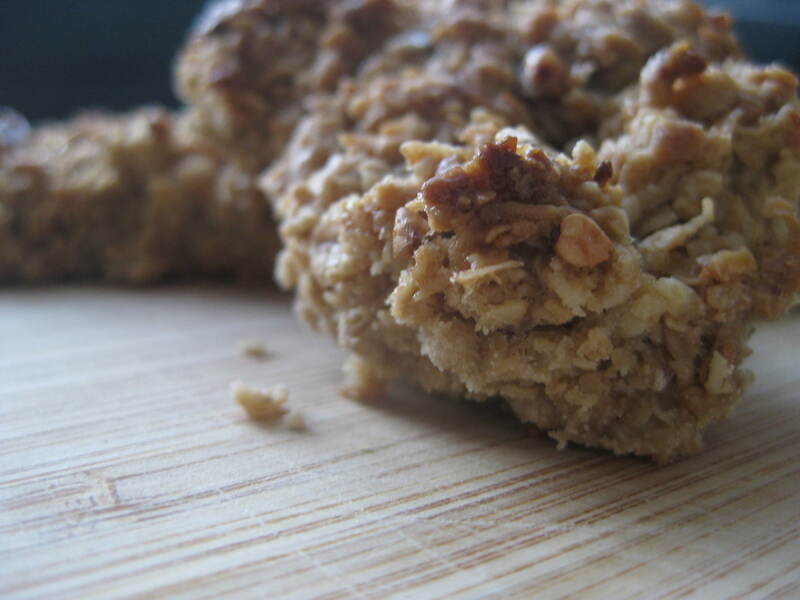 There’s lots of energy in these bars so they’re good for kids on the go! 1. Melt the margarine with the sugar and maple syrup in a medium saucepan over a low heat, until sugar is dissolved. 2. Stir in the oats until all combined. 3. Press into a shallow baking tin (lined with baking paper) and bake at 180 C for 20-25 minutes. Leave to cool for 5 minutes then mark into squares or “bars”. Leave to cool completely in tin and then break up into your pre-cut pieces. Store in an air tight container. For variety you can add dried fruit or nuts, coconut or chocolate chips to the mix. Or, if you’re feeling decadent, coat the bottom in chocolate, or drizzle some over the top…maybe sprinkle on some sesame seeds…depends on how healthy/unhealthy you wanna be!